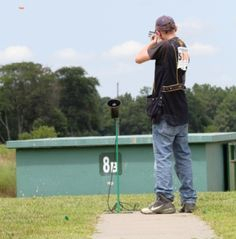 The Southern Illinois Youth Sport Shooting Association (SIYSSA), a non-profit corporation, is dedicated to promoting trapshooting and other shooting activities for the youth of Southern Illinois. SIYSSA supports the activities of each member team by encouraging good sportsmanship and responsibility. SIYSSA is committed to developing youth trap shooters to compete both individually and through team effort by hosting monthly trap shoots in the Fall and Spring of each year.